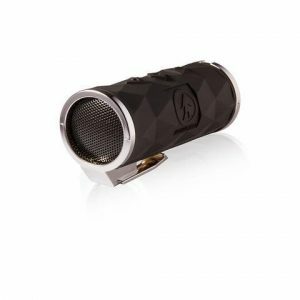 Once again, we have some more Outdoor Technology merch to review, and I’ve decided to write about two Bluetooth speakers with the Buckshot 2.0 and the Turtle Shell 3.0. The Buckshot 2.0 is clearly a Bluetooth speaker made like most these days. That is, it is rugged and made for portability, as it is shockproof and IPX6 rated dust and waterproof. The issue is that it is quite small, and it will fit in the palm of your hand. You see that clip, you can strap it to a bag and handlebars. As for the playtime, it is good for 20 hours without charging. What is really interesting is the range. Most Bluetooth products are good for about 30 feet, but the Buckshot 2.0 is good for about 60 feet of range. There are also some great controls on it, for changing tracks and some volume control. The Buckshot 2.0 is also great for some Siri action with a built-in microphone. I’m not certain if this is a sale of some type, but you can purchase the Buckshot 2.0 for $27.95 on the Outdoor Technology site now. That price feels pretty small, so I’m wondering if it might go up, especially as it says “compare at $39.95”. It is available in black, chrome (with black), blue, gray, and red. This particular type of Bluetooth Speaker is one that I have actually reviewed in the past. This article here was the last time, and I actually believe that this is the third time that I have reviewed this Turtle Shell. So that means that I actually have reviewed the 1.0 and 2.0 versions of this product, which might be the first time that I can say that about anything. Believe me, I always love the shape of this speaker, something that I can only describe as “like a gem”. I mean, look at the cut of it, it is simply fantastic. I’ll go into the details of what’s up as this version of the Turtle Shell has 20 hours worth of play time. It is rated at IPX7, which is good for rugged enough to protect against dust, shock, and water. I mean, this Turtle Shell 3.0 can float on the top of the water, like a real turtle. In addition to its ability to be a Bluetooth Speaker, it is also a powerbank, a 3600 mAh capacity battery, where you can connect your devices. Oh, there is another unique feature because you can connect to more than one Turtle shell thanks to the power of wireless pairing. 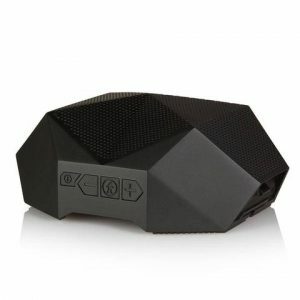 You can purchase the Turtle Shell 3.0 Waterproof Wireless Speaker on the Outdoor Technology site for $99.95 in black, electric blue, gray, red, and camo.